As you can see above, they also wrap your gifts in beautiful wrapping paper which is handpicked especially to match your purchase, which I think is a lovely touch! The Creatures of the North Notebook is a gorgeous chunky A5 notebook by Stormy Knight, featuring a repeat pattern of eight super sweet Nordic creatures, including a fox, a brown bear, a bison, a moose, an arctic fox, a lynx, a reindeer and a wolf. 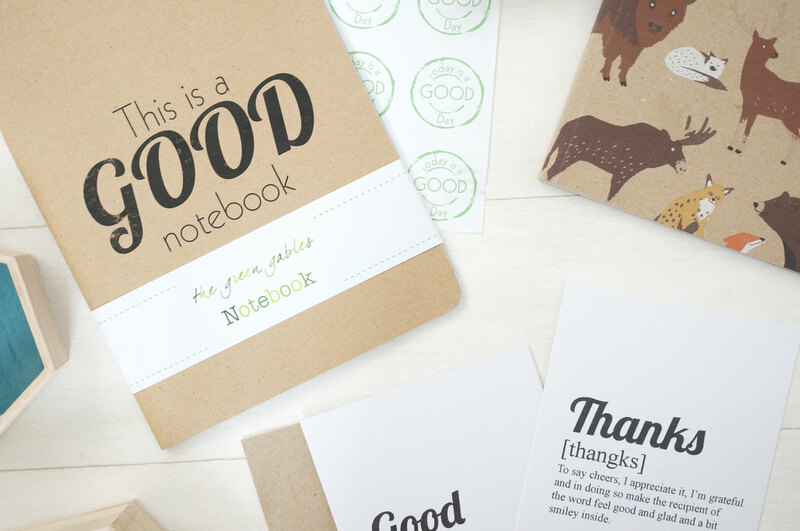 This notebook is made of 100% recycled manilla card cover and contains 100 lined pages on FSC approved paper. 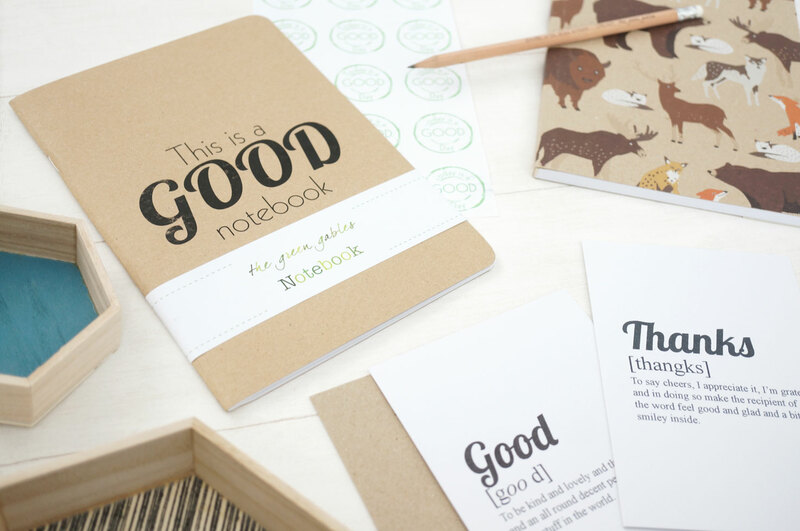 Next up is the GOOD Stationery Set by The Green Gables. 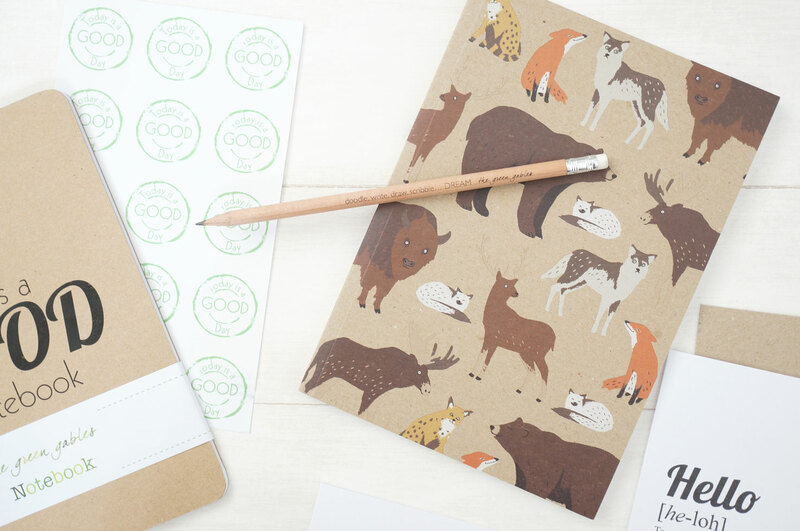 Now this is not just one item, it’s a whole stationery set… ooohh! Included is a lovely A5 Kraft cover notebook, four A6 printed note cards with envelopes, a sheet of 15 stickers, and a pencil with an eraser and a metal pencil sharpener. Which really is a complete bargain for £12.00! 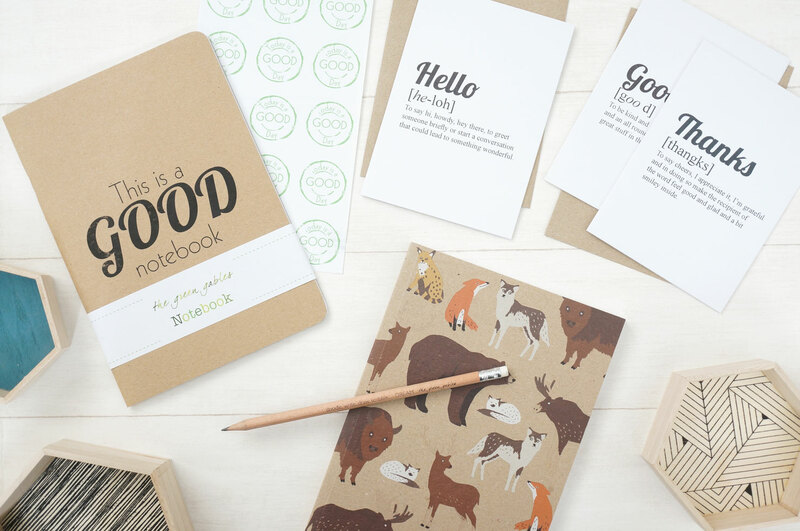 It’s also lovely to know that the A5 notebook, note cards and envelopes are all made with recycled paper, and the pencil is made in Britain with wood from responsibly managed forests. I should also point out that this set is made by The Green Gables, who work with the Fresh Start Foundation to supply children in The Gambia with the equipment they need to study and build a better future for themselves. On purchasing this set, The Green Gables will make sure a child in The Gambia will receive a school stationery kit including two exercise books (paper is very expensive in The Gambia), a pencil with eraser and a pencil sharpener. Amazing! So what do you think? 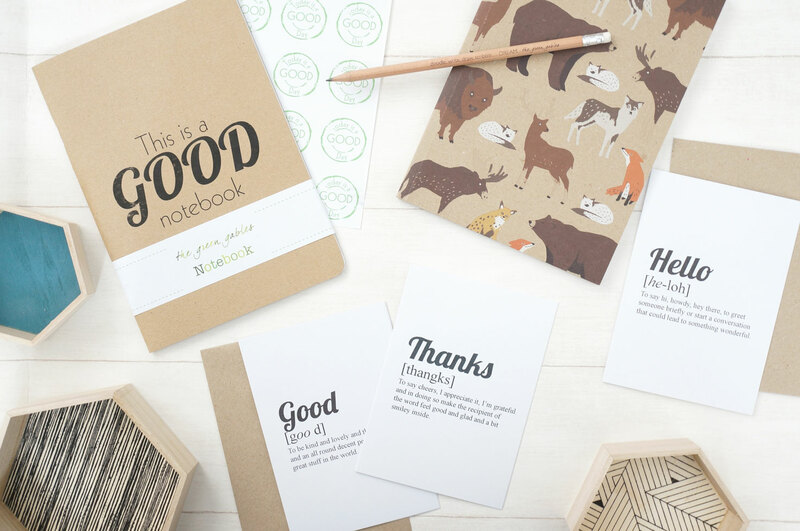 If you’re a stationery fanatic like I am, I’m sure you’re going to love these. 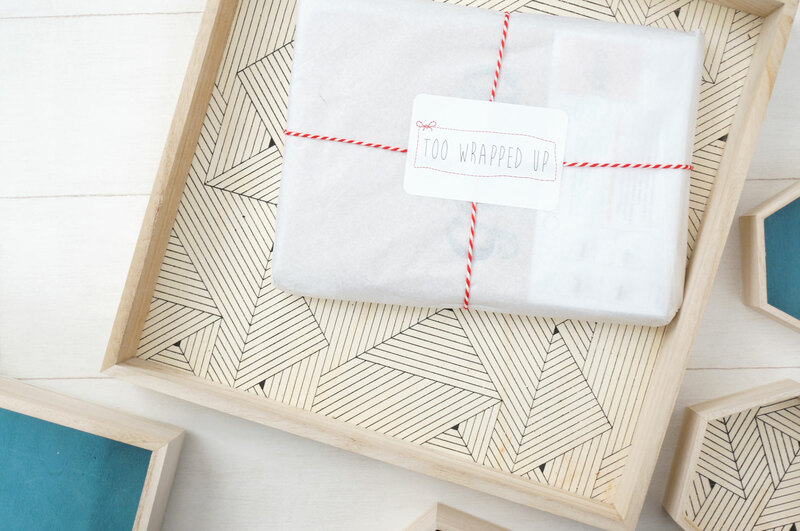 I’m really impressed with my new goodies from Too Wrappd Up – make sure you check out their site if you’re looking to purchase stationery or gifts! Jewel Candle Review & Giveaway! Previous Post Affordable Skincare Solutions You Need To Try + Giveaway!